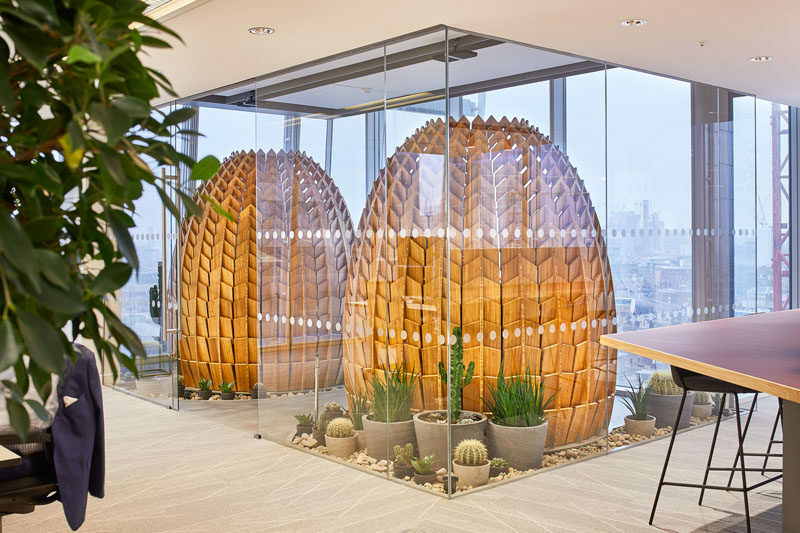 A cactus garden surrounds the pods and gives a direct connection with living nature. 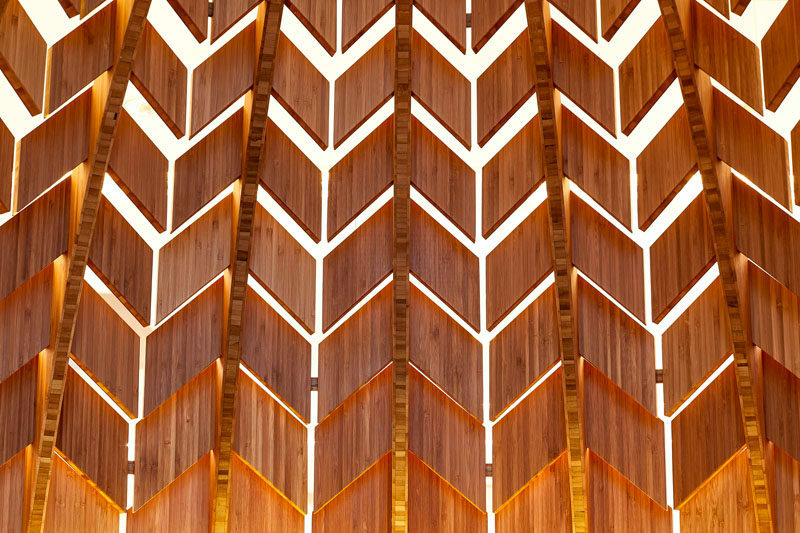 The two pods provide a place for employees to take a short-term rest, and they provide a sense of shelter and refuge while also maintaining views to the outside. 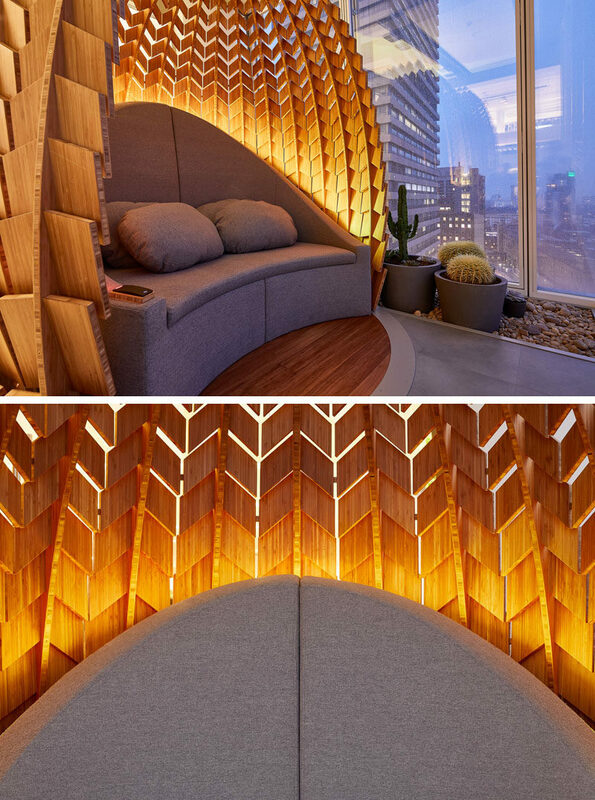 The soft seating within the pods are large enough for someone to lie down and rest, but also designed for sitting meditation. The additional cushions allow one to sit as if on a bench, but also take off the shoes and sit in a lotus posture. 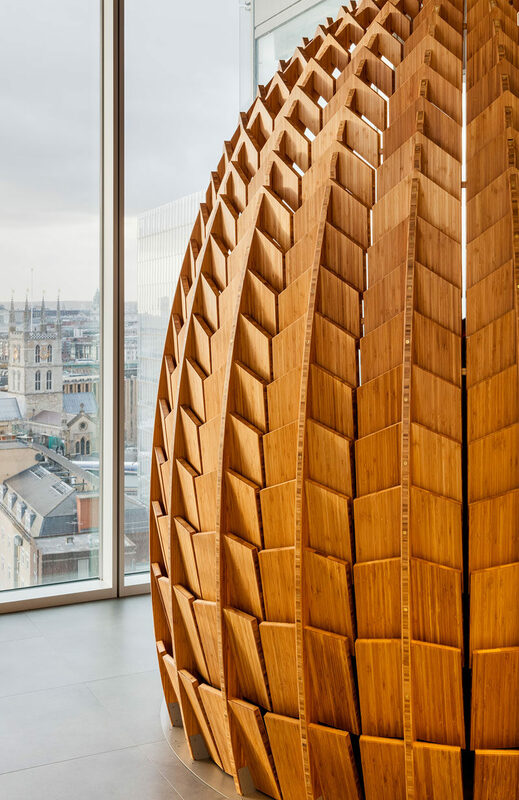 Each Pod is made from hundreds of individual pieces of bamboo and were fabricated by master craftsworkers at Aldworth James & Bond, who combined high-tech digital fabrication with traditional hand-finishing techniques to achieve a silky and sensuous final result.